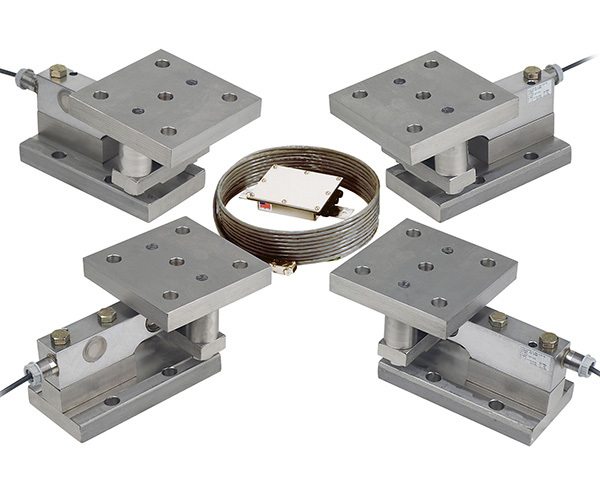 Cardinal’s USA-made THBC electronic load cell kits are for use with SB and DB load cells, depending on kit. Available in mild steel, these electronic tank scale systems include three or four stand assemblies, stainless steel SB or DB series load cells, and a stainless steel junction box. They are ideal for new or existing installations. Double link suspension and 30 feet of load cell cable included on DB models. System capacities vary based on number of cells from 7,500 lbs to 120 tons.